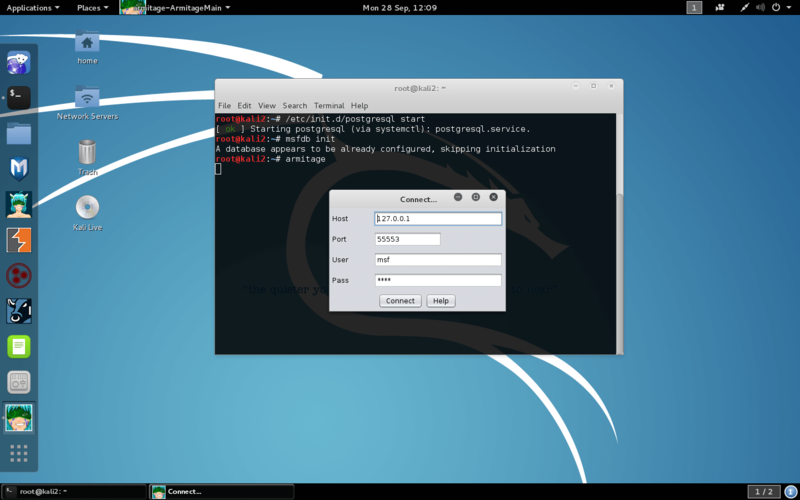 Armitage is included in Kali, so all we need to do is run armitage from any command prompt. We can just accept the defaults for Armitage and click ‘Start MSF’. 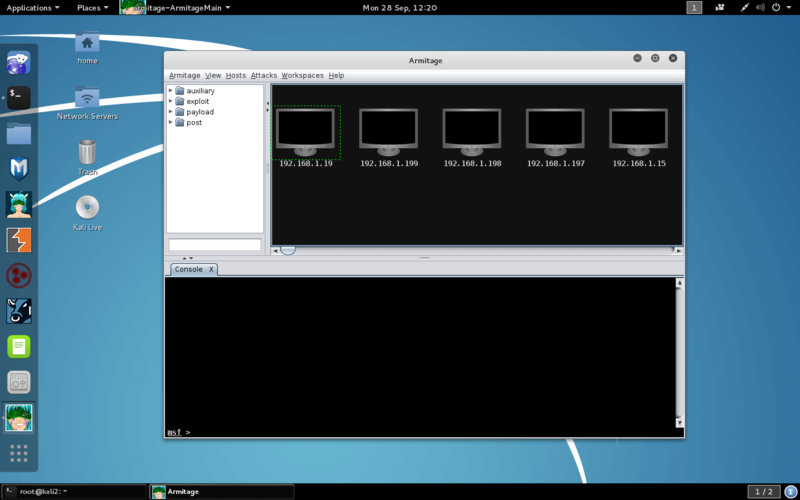 Afterwards, the main Armitage window is displayed. Note: If you are using Kali 2.0 and starting Metasploit for the first time, please setup and start the database before starting Armitage. At the request of Rapid7, we have removed the Metasploit Community / Pro package from Kali Linux and now host the open-source metasploit-framework package only. For all of you who require Community or Pro, you will now need to download it from Rapid7 and then register and submit your personal details in order to get a license. 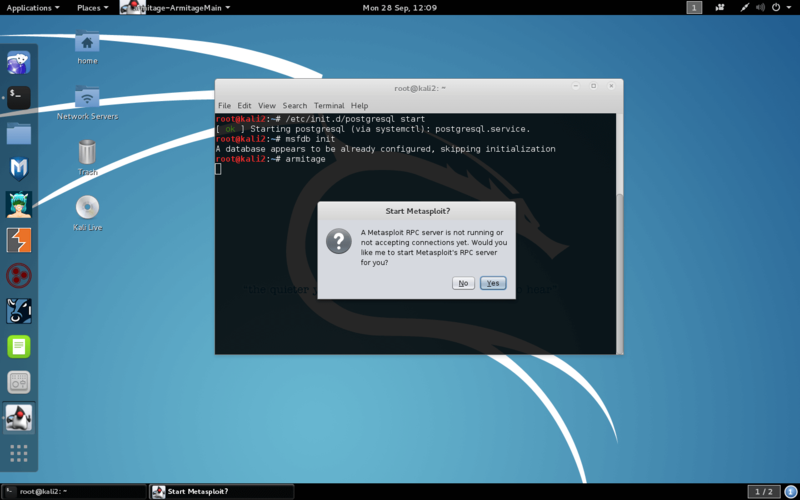 In addition, the Rapid7 team no longer maintains the Metasploit package in Kali, which has brought with it some substantial changes – we’ve moved to a native setup, where rather than bundling all the required software needed to run Metasploit in one big package, we use native dependencies within Kali to support the metasploit-framework package. This results in a faster, smoother work experience and easier integration with Metasploit dependencies. For more information about this, check out our Metasploit Framework in Kali documentation page. After you start Armitage and click connect, click yes to start msfrpcd. After a brief delay, you should be presented with the Armitage GUI.